A stunned John Collins received the legal letter after a meeting last month of the East Belfast DPP Sub-Group in Connswater, which had a poor turnout of locals. 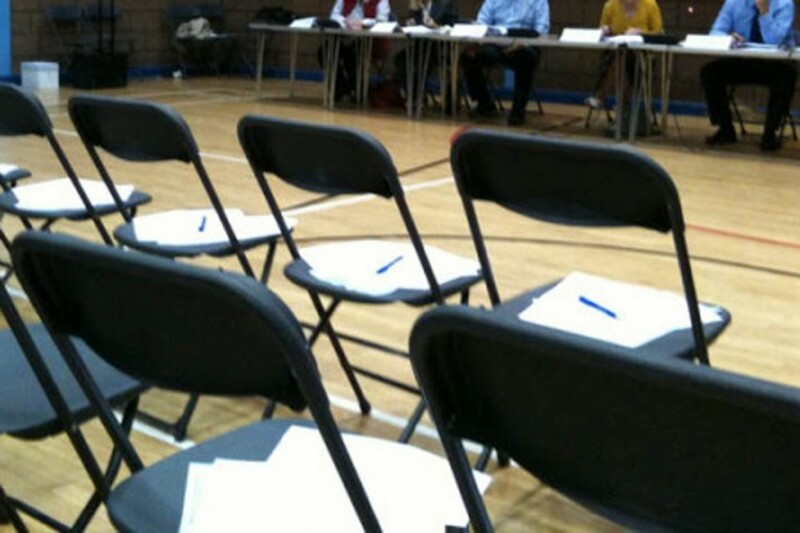 During the 1pm meeting, the Ormeau local took a snap of rows of empty seats, to post on his Twitter page and show how afternoon meetings meant few could attend. He had intended to bring up the issue of PSNI patrols in Ormeau Park to tackle anti-social behaviour, something that even a Freedom of Information request has failed to uncover, due to “operational reasons”. However, after tweeting evidence of the lack of attendees, he was faced with a demand from the council to remove the offending snap from the internet as he had “compromised the safety” of DPP members with his “irresponsible actions”. Speaking to the South Belfast News, an outraged John accused the council of being “heavy handed” in their approach. “I would like to know exactly what the policy is in regards the use of social media sites during these meetings, but I have since been told there is no ‘official’ social media policy, so why am I being threatened with legal action and not some DPP members themselves who use social media during the meeting? A spokesperson for Belfast City Council declined to comment on the matter.